We’re always looking for reliable volunteers to support our mission and programs, and we appreciate as much time as you have available to give. We value each and every one of our volunteers and we’d love to have you on board! We could not do what we do without our awesome volunteers; you are the lifeblood of our organization! So how do I become a volunteer? Complete and submit our online volunteer form. Attend a Volunteer Orientation. Details of the next Volunteer Orientation will be emailed to you by our volunteer coordinator, Ashlee, once you’ve submitted your application. At your Volunteer Orientation, ensure that you hand in the Love-A-Bull Policies and Procedures Form AND the Love-A-Bull Waiver and Release Form. Keep your eyes peeled for an email that will invite you to join the Love-A-Bull Volunteer Facebook group. We have set up this group to ensure better communication and volunteer engagement for our organization’s active volunteers. If for any reason you don’t receive periodic emails, please contact our Volunteer Coordinator, Ashlee at getinvolved@love-a-bull.org to check in. Our goal is always to maintain open communications with our volunteers. Here’s a preview of the primary events that Love-A-Bull typically hosts or attends. These types of events are what help us to achieve our organizations mission and goals. Our organization has many more volunteer opportunities outside of what is listed below, so please know that there truly is something for everyone, even those people who may not be able to commit to attending physical events. Fundraising events are held as a way to partner with local businesses, educate the community about pit bull type dogs and of course have fun! Fundraising efforts help Love-A-Bull achieve it’s financial goals in order to achieve the mission of the organization. Past fundraising events have included Pints for Pits, Doggone Disc Golf, Santa Photos and of course our yearly Pit Bull Awareness Day festival. CO&E events implement ways to better serve individuals or segments of the community in need of assistance. As the foundation of Love-A-Bull was built on education and advocacy these events are essentially our “boots on the ground” efforts to achieve Love-A-Bull’s mission of improving the image and lives of Pit Bull type dogs. CO&E events consist of educating the community and providing much needed resources such as training, dog food, vaccinations, etc. Typical CO&E events are Rabies Clinics, Fairs/Festivals and of course Love-A-Bull hosts it’s own free clinic, Chloe’s Clinic which provides FREE spay/neuter vouchers redeemable at Emancipet, FREE vaccinations, microchipping, dog food and preventatives. CO&E events cultivates Love-A-Bull’s community presence by serving as a clearinghouse for helpful information or resources. Adoption Support events provides various types of support to the organizations Adopt-A-Bulls, assisting fosters (coordinating food/vet care/supplies/training assistance), promoting Adopt-A-Bulls, planning and coordinating adoption events and performing various associated tasks (transport, meet-and-greets, finalizing adoptions, vetting foster and adoption applications, pursuing enrichment opportunities and techniques, etc.). 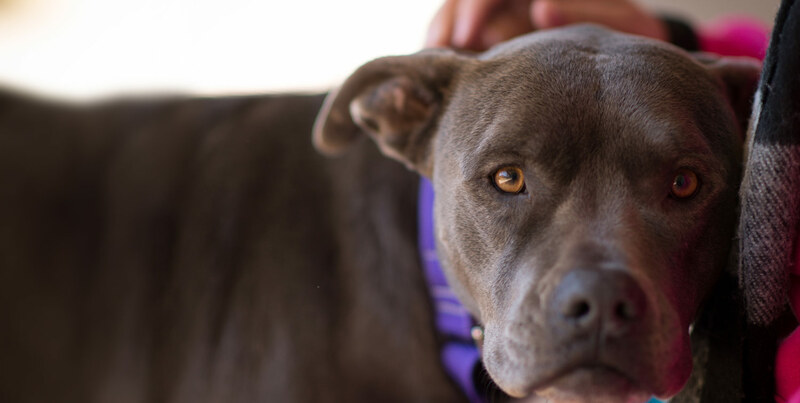 Adoption Support events ensure the advertisement of the organizations Adopt-A-Bulls by networking with new venues to host adoption events and participating in other organizational events to highlight the dogs in our care. Love-A-Bull, Inc. | 2900 W. Anderson Lane, C-200 #304 | Austin, TX 78757. What if I’m also interested in fostering? Awesome! Jump on over to the foster page to learn about our foster program and fill out the application so we can learn more about you. Filling out the foster application helps us assess which one of our adopt-a-bulls would be best suited in your home. If you have any questions, you can contact our Volunteer Coordinator, Ashlee McCullough, at getinvolved@love-a-bull.org.